Summertime in Arizona is always rough on our plants. Shade houses outside will extend the growing season into the hottest days of June and July, but our most long-lived plants will stay comfortable inside. 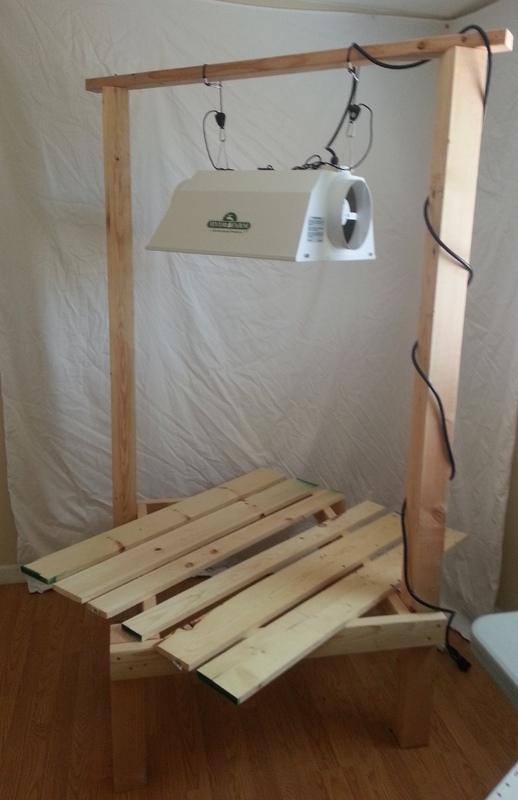 This stand cost less than $30 to make using lumber and wood screws from our local hardware store. We made this stand to conserve space in our 1300 SF house. We can fit three of these setups in the same area where two setups barely fit before on a commercial stand. Three 600 Watt bulbs is the limit on a 20 Amp circuit. The design is simple and uses minimal materials. Feel free to use and modify the design and share any improvements. First consider how the boards will come together. There may be knots in the wood that you will want to avoid. 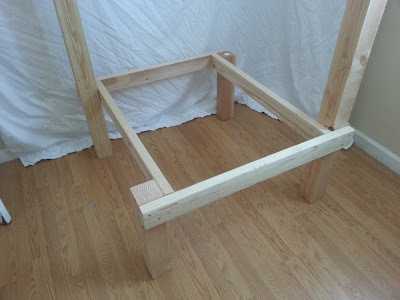 On a flat surface, lay out one side of the stand with the 4x4 posts beneath and one 37" board to connect them. It helps to use the other 37" boards to position the posts apart and keep the frame square. Make sure the 2x4 side is flush with the top of the short 4x4 post. When the side is neat and square, drill holes for the screws. It helps to label each board and the post where you drilled. Do this for every side. Once all of the holes are drilled, have someone help you assemble the frame. Make sure every screw is snug and flush with the surface of the wood. Nails will work to secure the top rail to the posts, just remember not to lift the stand with the top rail or it will pop off. We used screws, but we still lift from the base of the stand. We're using a flood tray in our setup. 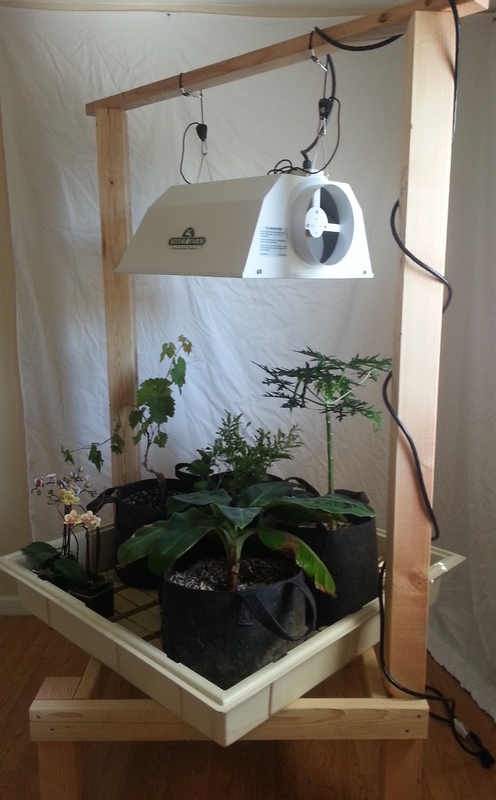 If we want to convert this stand to grow seedlings or plants in smaller potting containers we can just add boards to the base to make a platform. I hope this is useful, but please be careful! We do not take any responsibility for the quality of your construction. This stand will work great for the 400W Complete Coco Setup. The hood in the picture is the Radiant 8" AC Reflector. Special order light stands from our manufacturers.